I get so many products sent to me I almost don’t know what to do with all of it. I try most of it, see if I like it, tell you about it and keep it in rotation. Some things I love, some I don’t. I ONLY share products that I love with you guys, which is why you will sometimes see items during my “unboxing” videos on my instagram story and never see that product again. Sometimes I am paid, sometimes I am not. The skincare company that I work with the most Dermalogica pays me now, however I did work with them for A YEAR without pay. Why? Because I love and actually use their products them so there was a mutual benefit. So, what products do I actually use daily or weekly? I will be sharing my absolute favorites below with one sentence or two about why I like that product. Because reading a paragraph about a product is boring and you can click on the link to learn more if you’re interested. These are products that work for me and all opinions are my own. Honestly, the Rolls Royce of hair tools. My curls last all day (sometimes an additional day or two) are smooth, and I can switch out the barrel and change up my style, even though I usually stick to the 1.25”. I was influenced into buying this after seeing it all over my feed/stories constantly. This is the holy grail concealer, it holds well, blends well, is super full coverage AND feels light on the skin. As previously mentioned, I am a Dermalogica Partner, which means Dermalogica pays me to post about their products. I also mentioned I worked with them for over a year without pay to get to the paid partnership level. I really use all three of these products every night, when I travel they come with me. I literally can not function without these three. I even have my family and friends hooked. 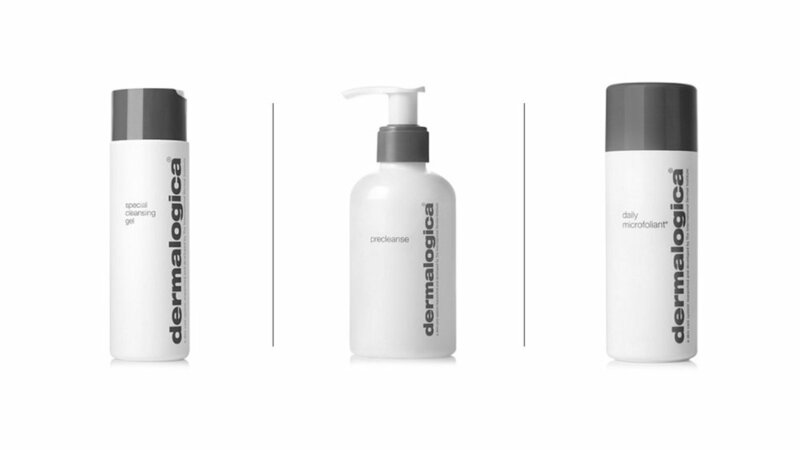 Dermalogica might seem pricey, but it is worth the extra money to use great products that actually work. Click HERE for my full blog …okay that was longer than a sentence. My roommate got me this for Christmas because I wouldn’t stop using hers. I hate having chapped lips so this is a must have. My lips are hydrated and smooth ALL. DAY. LONG. Seriously. Call me bougie, call me whatever you want, but this my friends is the best thing on my bathroom counter. I wish I could travel with this and I am always relieved when the hotels I stay at have simplehuman products. Once you have a mirror that lights up when you get in front of it AND shows you all angles WITH different light settings, you’ll never go back. TRUST. This spray smells AMAZING and makes my hair have all the extra volume. I think it’s what some call magic. I’m going to end on a great hair note - I will be doing “monthly favorites” blog posts on my most favorite items during the previous month. So stay tuned for February’s favorites! Do you use any of these products? What are your favorites? Let me know in the comments below!